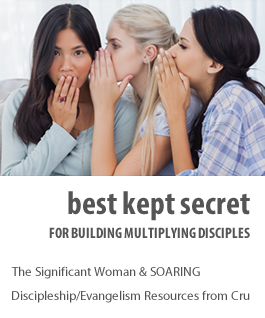 A significant woman lives a life of significance by choosing to live connected with God and His Personal Mission for her life. This Journey of Significance session enables you to present an overview of The Significant Woman Course. Following are some tips for facilitating a strong opening session for your Life-Coaching Group as well as setting a pattern for sessions that follow. Remember, you don’t have to be a perfect facilitator! Read the Facilitator Instructions beginning on page FI-1 before you begin your group. Look for ways to show your women that you are on the journey with them. In this opening session and the following sessions, add your personal stories and experiences of how you are integrating the six PEARLS principles into your life. The PEARLS biblically based principles build on one another. Therefore, you will want to strongly encourage your women to be present for each session so they won’t miss any part of the course. To help build community and encouragement, consider setting up an e-mail group for easy communication with one another outside the session times. When very critical needs are shared during your group sessions, pause for prayer. Then as soon as it is appropriate move quickly back to the material. Encourage group participants to also pray for the expressed needs on their own. As the facilitator of your group, it is your responsibility to keep the dialogue focused and on track. Refer to the time allotment indicated in your facilitator notes. When participants are working on the Life-Coaching Tools, Integration Activity Materials, or other activities stay engaged. Remain available to provide help or answer any questions they may have. One thing I did that really made a difference is each week I sent two e-mails to the group. The first one was within two days of our meeting with a review of what we had covered and what was “homework” in preparation for the next week. Then the day before the next session, I sent another e-mail motivating them for what was to come the next time. Many commented on how helpful these communications were.